Maria arrived here as a calf in the spring of 2009 being imported from South Africa by Bar 5 as an embryo. Our thinking was to add additional outcross polled genetics to our herd. Maria has gotten off to an impressive start with her first born heifer calf by DDD Broadway now working for our son, Dennis and daughter- in- law Jeanne, at Markerville, Alberta. 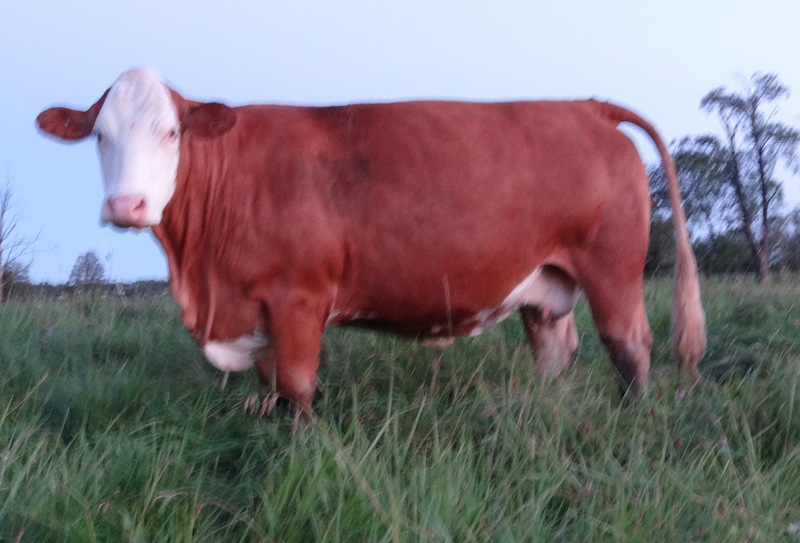 Maria is bred to the Viper bull for an December 2013 calf.